Getting married in Bangkok is a great idea. It may take a lot of time and preparation but it is worth the effort. Thai weddings are unique. They are different from western weddings in almost all aspects. You can, however, do your white wedding in Bangkok. The following are the top five reasons to get married in Bangkok. Bangkok is always beautiful. It has amazing wedding venues and serene natural settings at all times in the year. You do not need to spend a lot of money to have your wedding in a beautiful place. The Grand Palace is one of the most beautiful landmarks in Bangkok. Others include Dream World, Siam Ocean World, and Temple of Emerald Buddha. The average cost of having a wedding in Bangkok is B 200, 000. It is a lot less than having weddings in other parts of the world. It is an excellent choice for affordable destination weddings. Wedding venues offer amazing packages at affordable rates. The number of resorts and wedding hotels in Bangkok is high, such as the Lancaster Bangkok hotel near Sukhumvit. You can easily find something that suits your needs. It has a colorful culture and hospitality is idyllic. You can find something to suit all budget limits. From private weddings to grand resorts, Bangkok always has something special. The cuisine in Bangkok is varied and amazing. Bangkok’s cuisine is bursting with flavors from all the provincial borders. The cuisine in Bangkok is distinct from what is served in other parts of the world. It has amazing vegan and vegetarian options. Some of the most unique features of a Thai wedding include Monk’s blessing and water blessing. 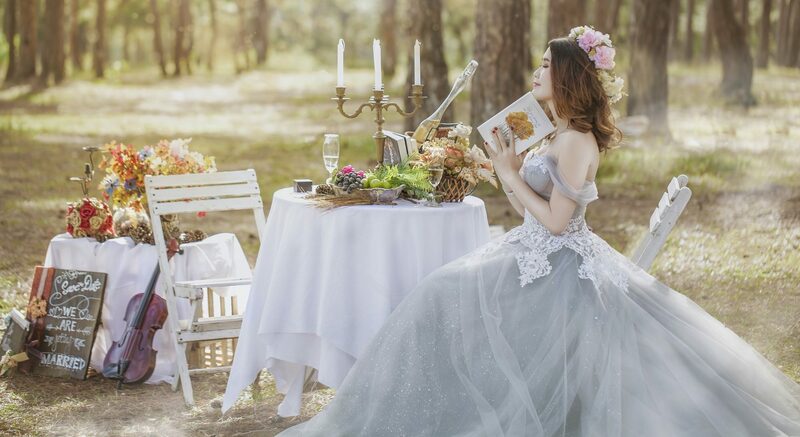 There are plenty of wedding hotels found in Bangkok where you can hold your white wedding. The most common wedding receptions are buffet and sit-down courses.